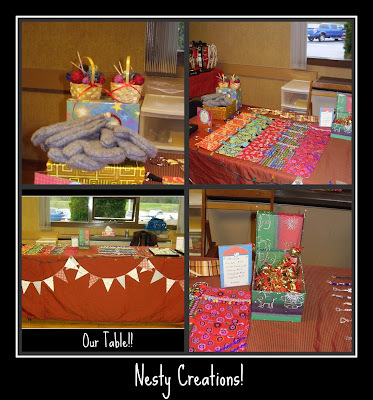 Nesty: Nesty Creations - My First Craft Fair!!! 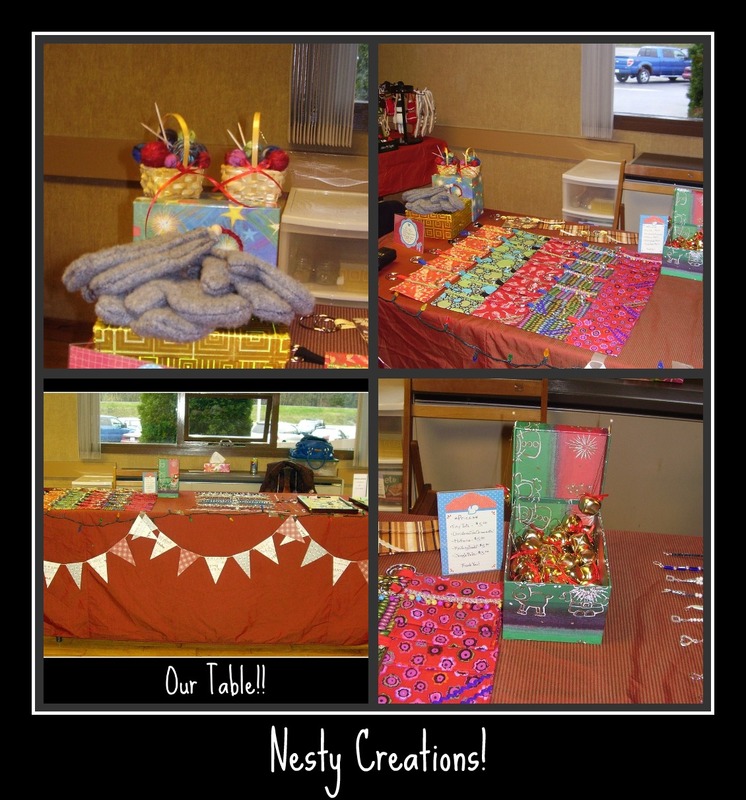 Nesty Creations - My First Craft Fair!!! I had a great time at my first craft fair! Not a lot of sales, but it was a lot of fun and I think I will do it again in the Spring! 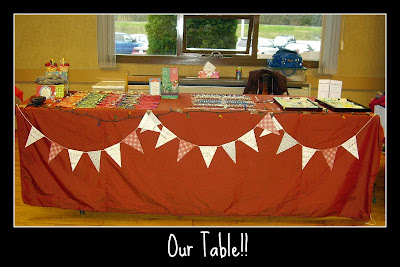 Here are some pictures of our table and wares. I sold a collection of Christmas ornaments as well as some "Tiny Totes;" little bags perfect for hands-free shopping, strolling, or dog walking. I also made the Christmas bunting that decorated our table. My table partner Ann sold her original jewelery designs. I really like her creations; we purchased some for Christmas gifts last year and I bartered a Tiny Tote for a pair of earrings (the funky pink shell ones in the photo collage below). 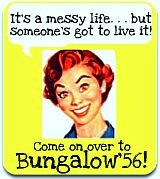 Despite low sales (and developing laryngitis! ), I had a lot of fun! It was great to get out, meet people, and see what other crafters are making. 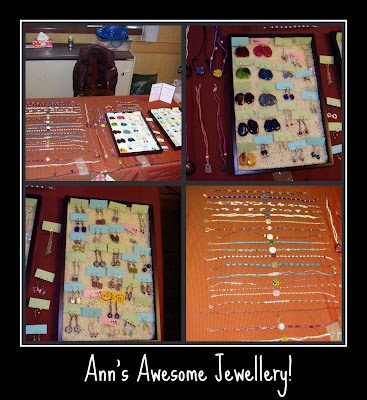 Have you participated in a craft fair lately? Do you sell your products online, either through Etsy or your own site? If so, I'd love to hear about your experiences!